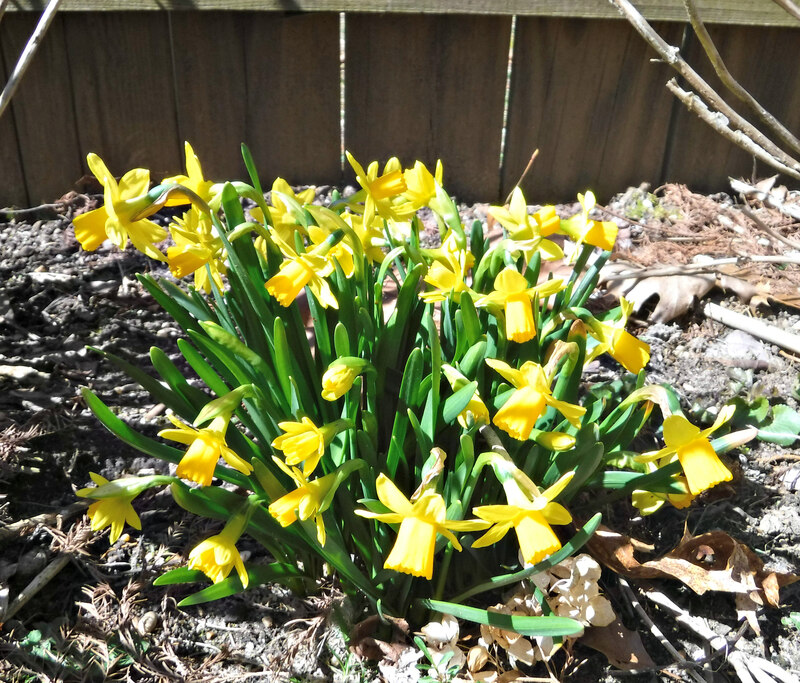 They are beautiful, Kathy- why are they called mini Daffodils? They are much smaller than most daffodils. The blossoms are small, and they only grow to about six inches. They bloom very early and really multiply each year. Really pretty and I love that they are “mini”… I’ve never seen them before. 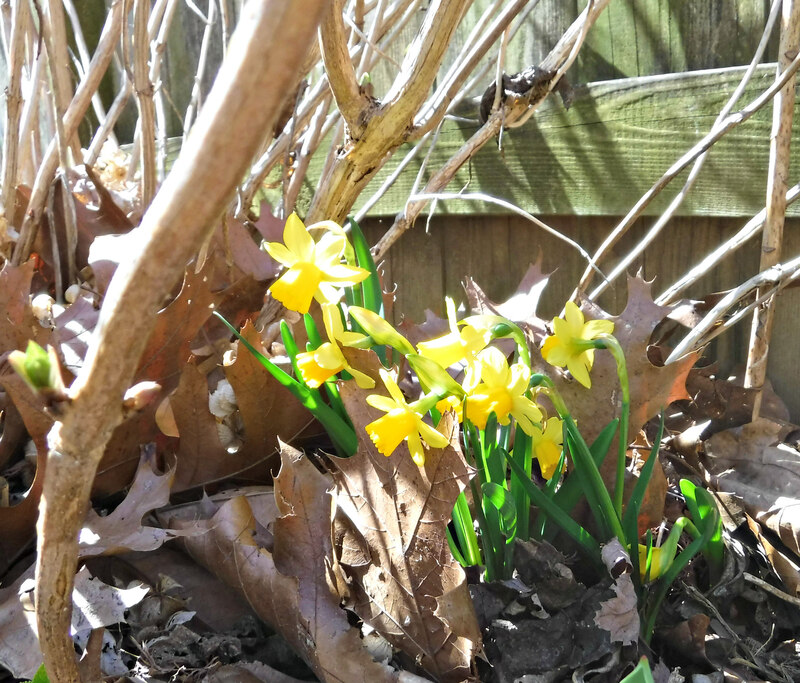 Thanks, it’s fun to stick them in a spot where normal daffodils would be too tall…such as these beneath the hydrangea bushes. Oh …They do brighten up any corner. Thank you Timeless Lady for stopping by Chapel of Hope Stories! It was so appreciated and as you tell your followers…it always makes the day a little brighter for bloggers. And speaking of…I adore your blog…the set-up, the photos and the information…love the salt lick for butterflies idea….magnificent!